The Scottish Highlands form the highest mountains in the British Isles, a broad arc of rocky peaks and deep glens stretching from the outskirts of Glasgow, Perth and Aberdeen to the remote and storm-lashed Cape Wrath in Scotland’s far northwest. The Romans never conquered the region – according to the historian Tacitus, the Highland warrior chieftain Calgacus dubbed his people ‘the last of the free’ – and in the Dark Ages the island of Iona became home to a Celtic Church that was able to pose a serious challenge to the Church of Rome. Few travellers ever ventured there, however, disturbed by the tales of wild beasts, harsh geography and the bloody conflicts of warring families known as the clans. But after the defeat of Bonnie Prince Charlie at the Battle of Culloden the influence of the clans was curbed and the Scottish Highlands became celebrated by poets, writers and artists for their beauty rather than their savagery. 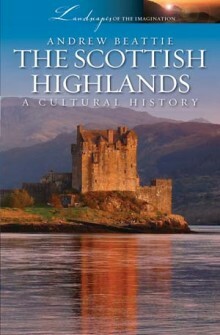 In the nineteenth century, inspired by the travel reportage of Samuel Johnson, the novels of Walter Scott, the poems of William Wordsworth and the very public love of the Highlands espoused by Queen Victoria, tourists began flocking to the mountains – even as Highlanders were being removed from their land by the brutal agricultural reforms known as the Clearances. With the popularity of hiking and the construction of railways, including the famed West Highland line across Rannoch Moor, the fate of the Highlands as one of the great tourist playgrounds of the world was sealed. Andrew Beattie explores the turbulent past and vibrant present of this landscape, where the legacy of events from the first Celtic settlements to the Second World War and from the construction of military roads to mining for lead, slate and gold have all left their mark.